Traditionally, the iconic sandwich is made with flaky, airy French bread made at local bakeries (most notably Leidenheimer and John Gendusa), although many restaurants opt for Vietnamese-style baguettes. Most po’ boys are served “dressed”—that is, with mayonnaise, lettuce, tomatoes, and pickles. Roast beef and fried seafood are two of the most classic fillings (and with good reason), but these days, there is a whole new wave of inventive new creations throughout the city. In addition to those classic standbys, you’ll find sandwiches stuffed with fried chicken and ham, shrimp rémoulade and fried green tomatoes, and slow-roasted duck, to name a few. We set out in search of the best specialty po’ boys around New Orleans and found some truly impressive and tempting sandwiches at neighborhood joints and an upscale eatery. The next time you have a hankering for a po’ boy, get your napkins ready and dig into one of these extraordinary sandwiches. 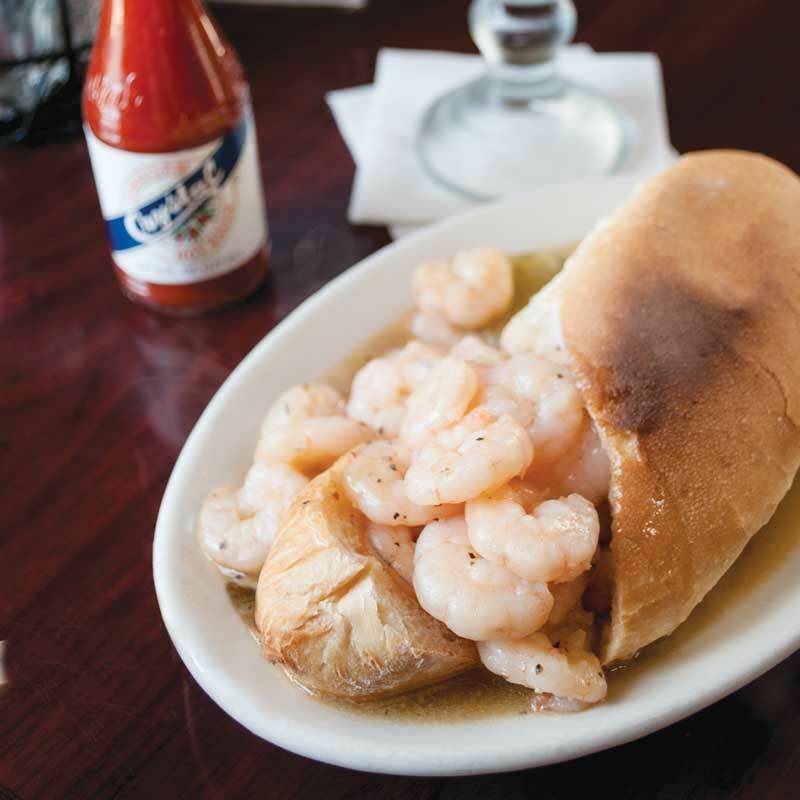 Classic New Orleans po’ boys and comfort food favorites anchor the menu at Mahony’s Po-Boys & Seafood. 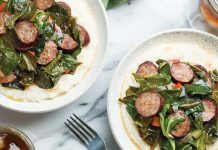 Nestled along a quaint, tree-lined portion of Magazine Street, the neighborhood po’ boy shop opened nearly a decade ago with a menu of scratch-made dishes. 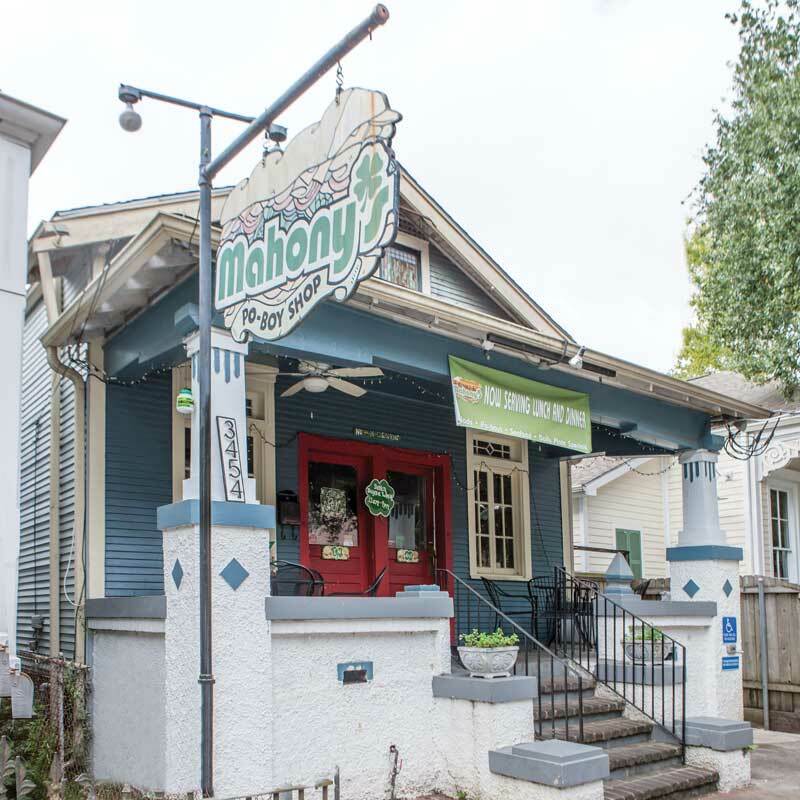 In addition to po’ boys, Mahony’s also serves up New Orleans classics, such as seafood gumbo, red beans and rice, and crawfish étouffée. The restaurant also offers a limited brunch menu on Saturday and Sunday. While Mahony’s is known for its fried seafood po’ boys, including fried shrimp and oyster, it has a substantial menu of creative versions, like the Shrimp Remi. The sandwich is served on Leidenheimer loaves, which are delivered fresh every morning, stuffed with fried or grilled jumbo Gulf shrimp, fried green tomatoes, rémoulade sauce, and lettuce. Don’t forget to add a side order of Mahony’s thinly sliced onion rings, which are piled into a miniature mountain and lightly salted. 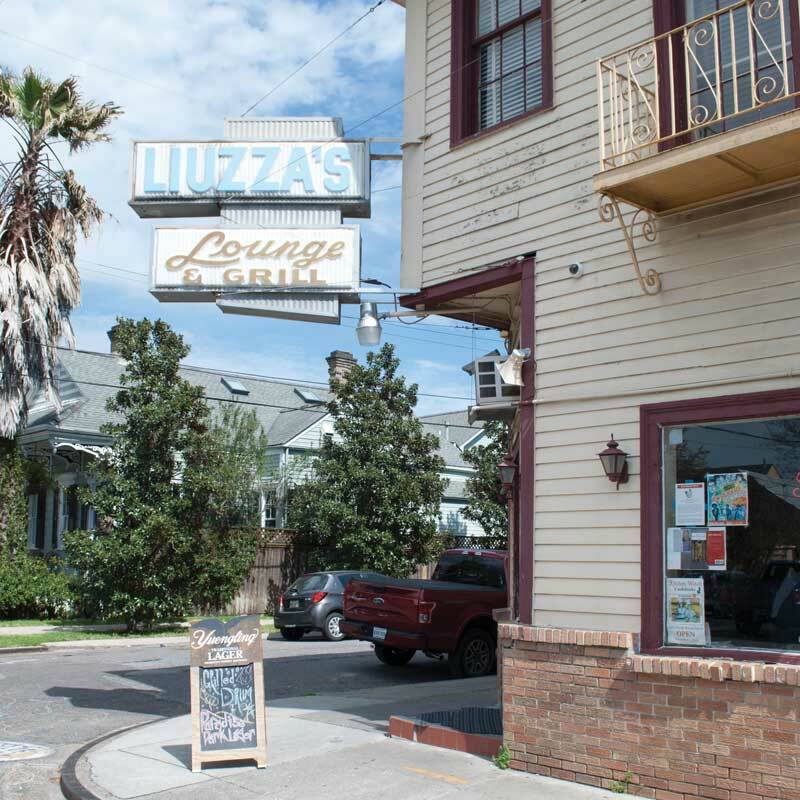 Liuzza’s by the Track has long been a local favorite for traditional New Orleans cuisine. Situated around the corner from the Fair Grounds Race Course in New Orleans, this old-school neighborhood joint is popular among horseracing fans and visitors to the New Orleans Jazz & Heritage Festival. The restaurant takes pride in using ingredients made and sourced from local suppliers. 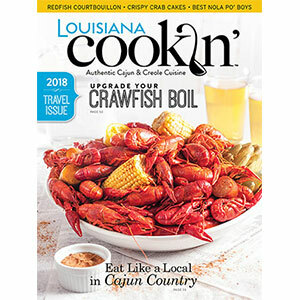 The menu includes traditional po’ boys and seafood plates, but Liuzza’s by the Track has become well-known for its spicy gumbo and a number of specialty po’ boys, including Garlic Oyster, Breathtaking Beef, and the restaurant’s signature dish, the BBQ Shrimp PoBoy. This decadent creation is the type of sandwich you’ll need a fork and knife to eat. 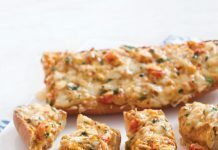 It features tender shrimp swimming in a buttery, peppery New Orleans-style barbecue sauce, all stuffed into a hollowed-out pistolette and served with a steak knife for easy eating. 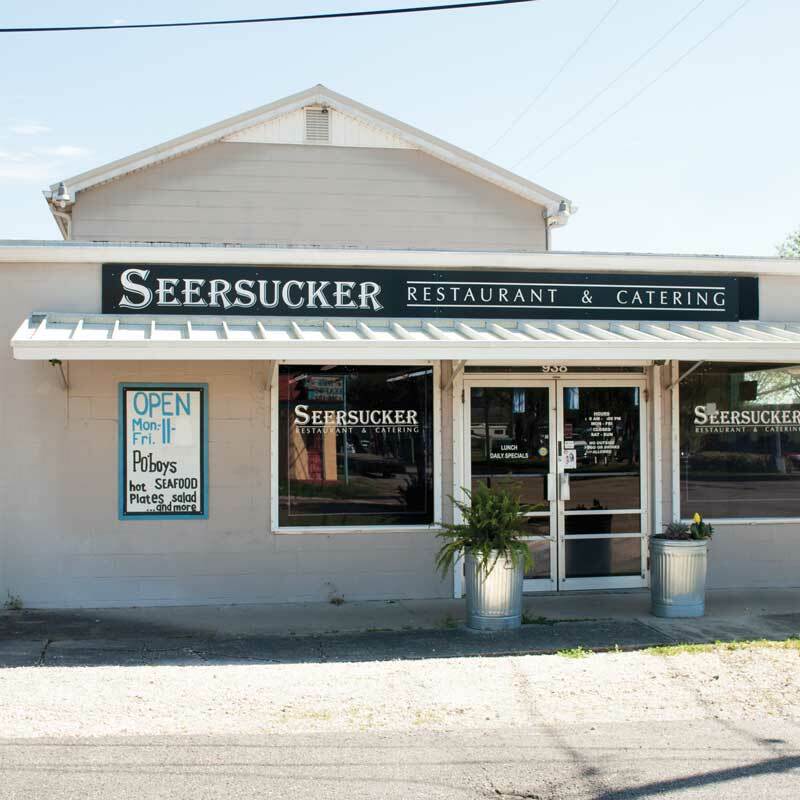 At Seersucker Restaurant & Catering, a casual lunchtime spot in Gretna, you’ll find an extensive menu of specialty po’ boys and comforting classics to whet your appetite. 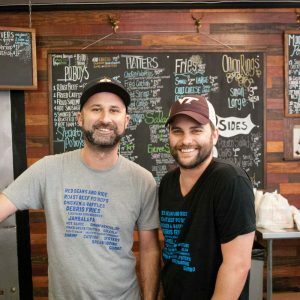 Owners Jonathan Hostetler and Blayne Bergeron opened the restaurant three years ago, a few months after they started their catering operation. 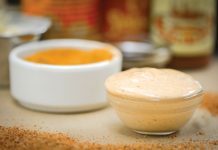 Seersucker integrates local ingredients whenever possible. The bread is from Hi Do Bakery in Terrytown, while the hot sausage is made by Schexnayder’s Acadian Foods in Kenner. The menu consists of daily hot lunches, platters, and traditional po’ boys, but the specialty po’ boy section is not to be missed. 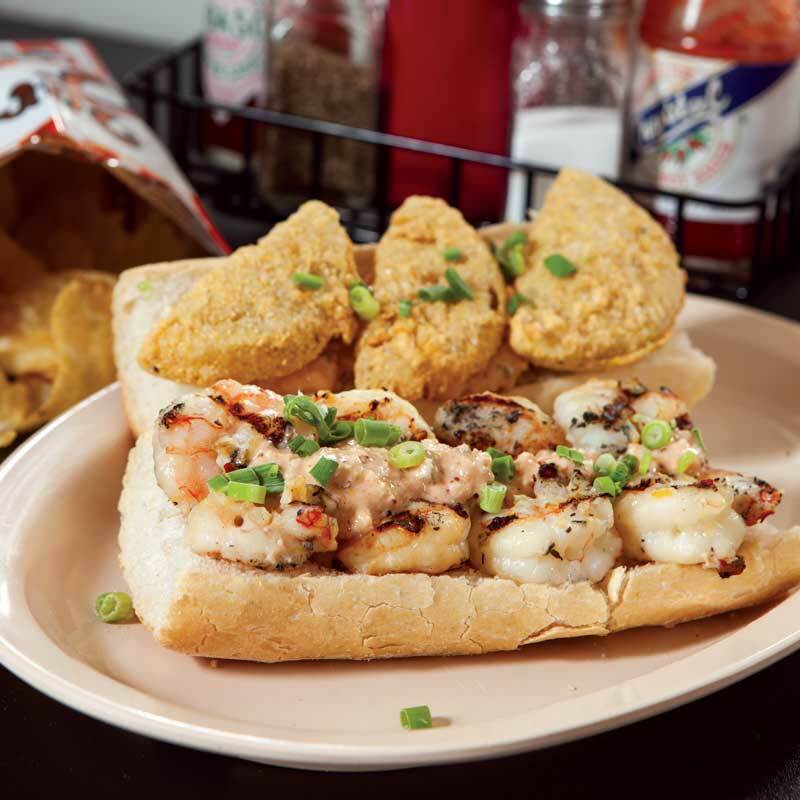 In addition to the Shrimp Remoulade Po’Boy and 3 Little Pigs (hot sausage, ham, bacon, and American cheese), the Surf N’ Turf Po’Boy is one of Seersucker’s most-ordered menu items. 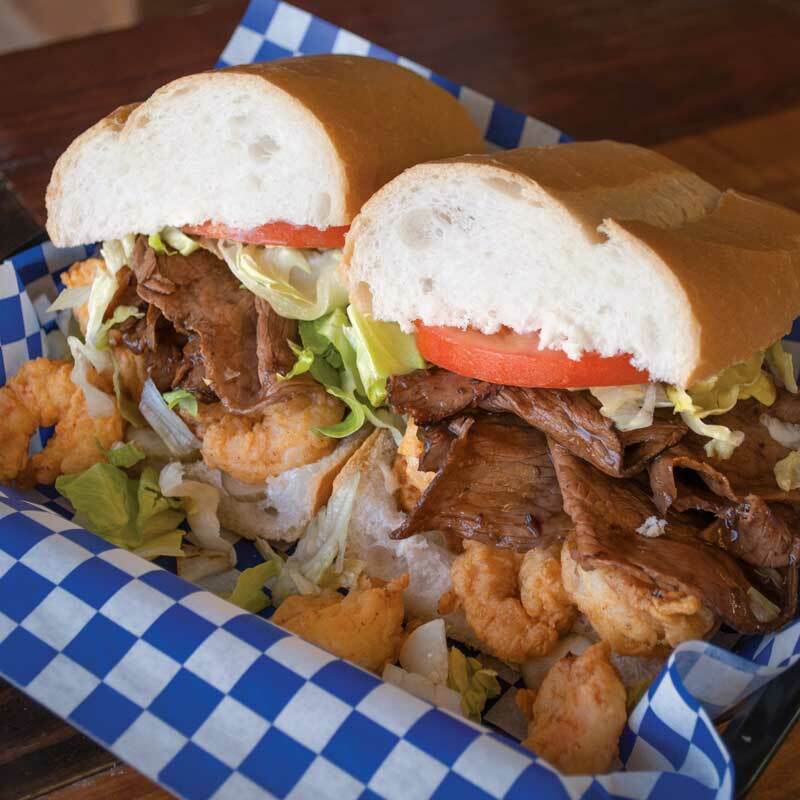 The sandwich brings together the best of two worlds with a combination of thinly sliced roast beef and golden fried shrimp bathed in luscious brown gravy and dressed with the traditional fixings. Find our entire list of must-try specialty po’boys in our May/June 2018 Louisiana Cookin’. Order your copy today! Love this website, still would like to know where or how can I get “Lunch Tongue” shipped to me in Fl.